Happy Thursday everyone! As you're reading this right now, my little family and I are heading out of town to Tennessee for an early Easter celebration with Zach's family! I can't wait to see everyone and enjoy the pool, the mountains and some good ol' fashion family time of course! Before I crammed everything into the car early this morning, one of my main essentials is to get my diaper bag backed and ready to go for Landon. That little rascal even at almost a year still needs so many little things that I'm always forgetting things last minute! One of the items I always seem to never have enough of are diapers! I try and grab as many as I can and shove them in and it's always such a pain! Landon goes through so many diapers a day because of the 500 lbs of food he shoves in his mouth, not to mention numerous bottles of water and milk in between. It's almost exhausting to keep checking his diaper and see when he needs yet another diaper change. While shopping at my local Walmart the other day, I came across something pretty unique. 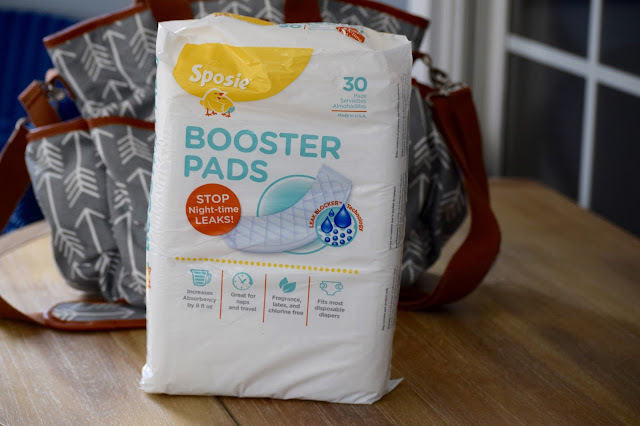 Sposie Diaper Booster Pads! Wait What?! You heard me! These booster pads are extremely absorbent and they insert in a regular diaper. The best part is that they hold an extra 8 fl oz which means about 12+ hours of leak free peace of mind! I swear my mom brain can't even think about that! I'm sure you think I'm kidding when I say this but as we speak on our road trip to Tennessee, I put one in Landon's diaper and he's been dry for the past 3+ hours! How is that even possible you ask? Their quality design quickly draws pee away from your little one's skin which keeps it dry, comfortable ( and best yet ) rash free! These diaper booster pads are also fragrant and chlorine free! 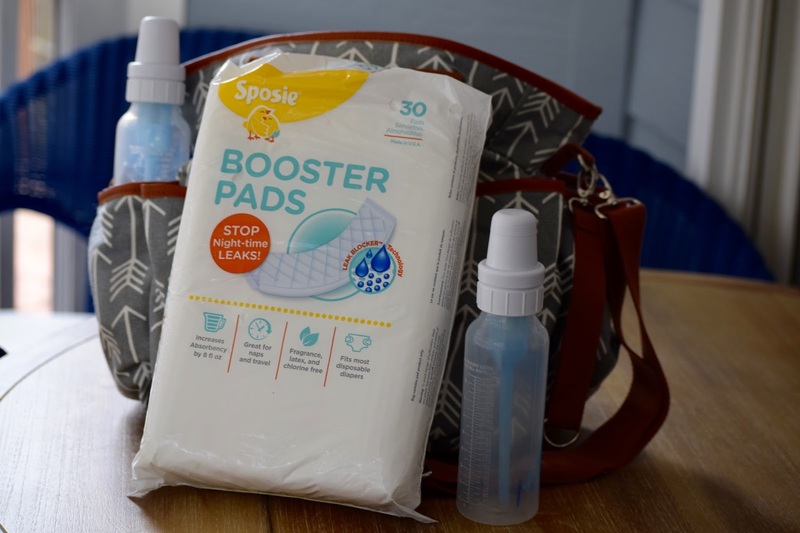 If there is one thing I'm going to be keeping in my diaper bag at all times, it's these booster pads! How about you Mom's? 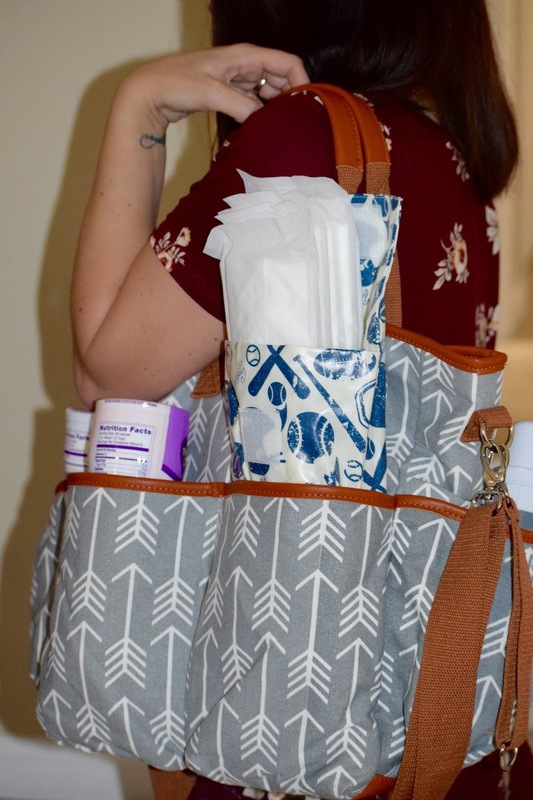 What's in your diaper bag that's a must have? Wipes!!! I know it’s simple but gosh, I’m lost without them! I remember those days. Although my kids are older and no longer need a diaper bag, but I always use to carry wipes for them. Great post, always good to be prepared! I'll have to keep these in mind once we have kiddos. Hope y'all have a good trip! These diapers would be great to have if you are traveling! I always keep changes of clothes in our diaper bag. Anytime I take them out, they are needed! The booster pads would be great for travel or playing at the park! 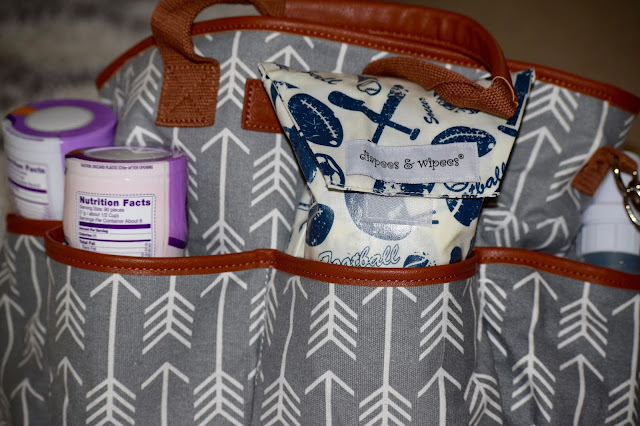 I always have wipes on me, even if I don't bring a diaper bag, I've always got them stashed in my purse. @sposies have been a life saver for my family!